Su Qian Huanyu Plastic Products Co., Ltd.
Su Qian Huan Yu Plastic products Co; Ltd is a large plastic packing enterprise, and a professional PVC shrink film, PVC Heat shrink Film, Heat shrink film, shrink wrap manufacturers and suppliers. 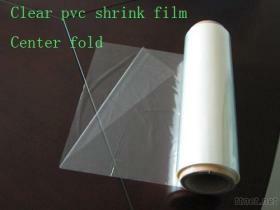 We can manufacture the PVC Shrink film for label printing and packaging. Centre folded, tube and single flat all are available. Our PVC Heat Shrink film is made by Calender process. With high transparent, great shrinkage, extremely tough and softness.